Wallace, P. (2017). UMUC's Virtual University: Expanding access for non-traditional students.. In J.F. Ebersole & W. Patrick (Eds. ),Learning at the Speed of Light. Albany, NY: Hudson Whitman/Excelsior College Press. Wallace, P. (2017). Internet behavior. In Stein, J. (Ed. ), Reference Module in Neuroscience and Biobehavioral Psychology. Amsterdam, The Netherlands: Elsevier. Wallace, P. (2014). Internet addiction disorder and youth. EMBO Reports, 15:1, 13-16. Wallace, P. (2012). Internet behavior. In S. Ramachandran (Ed. ), Encyclopedia of Human Behaviour, 2nd Ed. Oxford, UK: Elsevier. Wallace, P. (2011). M-Learning: Promises, perils, and challenges. New Horizons for Learning, IX(1). Jones, C., & Wallace, P. (2010). The emerging role of informal networks in crisis communications and disaster recovery. In A.Przepiorka (Ed. ), Internet in Psychological Research, Warsaw: Cardinal Stefan Wyszynski University Press. Wallace, P. (2009). Distance learning for gifted students: Outcomes for elementary, middle, and high school aged students. Journal for the Education of Tthe Gifted, 32(3), 295-320. Wallace, P. (2006). 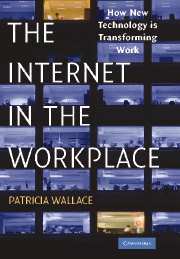 Leadership in the Internet age: Managing a diverse and dispersed workforce. In R. Gandossy, Tucker, E., and Verma, N. (Eds. ), Workforce wake-up call . New York: John Wiley and Sons. Wallace, P. (2006). Distance education for gifted students: Leveraging technology to expand academic options. High Ability Studies , 16(1), 77-86. Wallace, P. (2005). Blending instructional design principles with computer game design: The development of Descartes' Cove. Educational Multimedia and Hypermedia, 2005, Proceedings of the Association for the Advancement of Computing in Education , Montreal , Canada . Wallace, P. (2000). Privacy, control, and online choices. Wilson Quarterl y, Autumn. Wallace, P., and Riley, D.R. (2000). 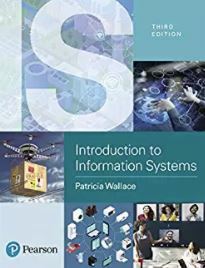 Databases, information architecture and knowledge discovery. In G. Bernbom (Ed. ), Information Alchemy: The Art and Science of Knowledge Management . San Francisco : Jossey-Bass, Inc.
Wallace, P. (1999). Successful virtual teams. Executive Excellence , October, 20. Wallace, P. (1999). Building the learning organization. KMWorld , September, 28. Cramer, J., and Wallace, P. (1990). Decision-making in Japan : A moving target. The Asian Wall Street Journal , February 22, 1990 . Wallace, P. (1990). Colleges should develop new ways to meet the training needs of business. The Chronicle of Higher Education, A36, December 19, 2002 . Cramer, J. and Wallace, P. (1990). Avoiding culture clash in a Japanese company. The Asian Wall Street Journal , 21, July 12, 1990 . Cramer, J. and Wallace, P. (1990). Overseas managers should train local staff. Japan Economic Journal, 9 , September 15, 1990 . Cramer, J., and Wallace, P. (1989). Culture gap hinders Japanese localization. The Asian Wall Street Journal, Manager's Journal , 19, June 29, 1989 . Wallace, P. (1975). Neurochemistry: Unraveling the mechanism of memory. Science , 190(4219), 1076-1078. Wallace, P. (1974). Complex environments: Effects on brain development. Science, 185 (4156), 1035-1037.